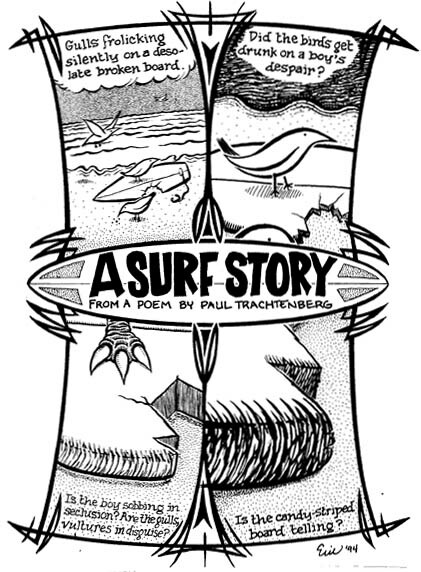 A 6" x 8.25" one-page strip adapting a poem by Southern California poet Paul Trachtenburg. From 1991 or so, I think. It's old.